What is The Most Accurate Pregnancy Test? One of the most important events of any women’s life is when you realize that you are pregnant. But you don’t want to go through the emotional roller-coaster of discovering that the test was not really accurate and gave you the wrong idea. Accuracy is key when it comes to any type of test designed for your body and health. 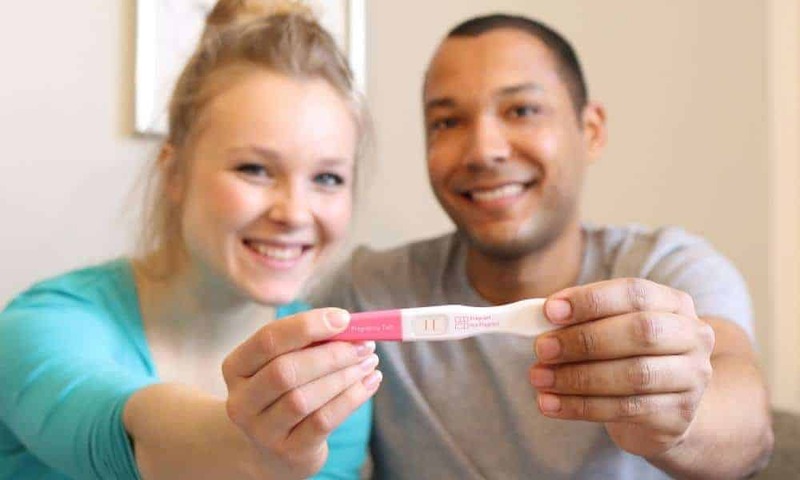 When it comes to pregnancy tests, you want to know that you are getting accurate results that you can trust. This is a life changing event after all. But let’s start with the basics, so we can be sure that you are clear about the whole process about when and how to take a test. Then we can help you when it comes to choosing the most accurate type of pregnancy test. How does a pregnancy test work? Most pregnancy tests are designed to work with either a sample of blood or a sample of urine. Home pregnancy tests are usually designed to test a urine sample. The test is focused on detecting whether there is any hCG in the sample. This is a hormone called human chorionic gonadotropin, and is produced when the fertilized egg attaches to the uterus. This hormone hangs around for a while after fertilization so a basic test for this hormone is usually enough to tell you if you are pregnant. Once you miss a period, you will start to think about the possibly that you could be pregnant. Luckily the tests available can quickly tell you where you stand, so you won’t have to wait a few months to see what happens before you can be sure. Like we said, there are two main types of tests. Those that work with blood samples or those that work with urine samples. Blood tests are done in a doctor’s office, or by a nurse at a clinic. These tests can detect pregnancy quite early but the results usually take quite a bit longer than with home tests that work with urine. Urine pregnancy tests are the ones that are most easily available and can be used at home. Your doctor might even give you a urine test as well. The added benefit of home urine tests are that they are private, convenient, easy to use and can give you quite accurate results really quickly. One of the first things that will influence the accuracy of pregnancy tests is how soon you decide to use them. You will be able to get the best results about a week after you missed a period. Some tests can be used earlier, but if you really want clear accurate results, give your body a day or two before you test. With that said, home pregnancy tests can be very accurate, up to 99 percent. Blood tests are even more accurate than this. The accuracy of a home urine test will depend on a few things. This can be things like, how accurately you follow the instructions, how soon after fertilization you take the test and when you ovulate but also on the brand of test. Some tests work as dip tests. You collect a urine sample in a cup and then dip a test strip into the sample. Other tests are designed to work by being directly activated by your urine stream. A third type also works with a sample in a cup, but then you use a dropper to put a sample on a tester. It will take a few minutes with each of these tests for the results to show up. Different tests will have different ways to showing a positive or negative result. Some might give a plus sign, or two parallel lines. There also some digital tests available that will indicate pregnant or not-pregnant. If any of the results seem strange to you the best thing to do is to consult your doctor. Your doctor will be able to tell you exactly what a strange result might mean. The main thing to remember is that a positive result, no matter how faint the line is, or how light the positive sign, it indicates pregnancy. Sometimes, very rarely you can get a positive result even though you are not pregnant. Not only is this result disappointing and emotional. It can make you doubt the accuracy of other tests. But there are few things to take into account when there is a false positive. Certain drugs can throw the results off, as can blood or protein in your urine. Luckily you can always consult your doctor when you are unsure about anything related to pregnancy. A few other things can also affect your results. It can also indicate that a result is negative, while it is not. A test past its expiration date can give false negative results, or no result at all. So be sure to check the dates on the packaging. Diluted urine, which runs very clear, can also be too diluted to give accurate results. Follow the instructions of the tests carefully because it can also influence the results. Sometimes you may have taken the test to early. In that case you can wait a few days and take the test again. Certain medications can influence various aspects of pregnancy but also ovulation tests. So check with your doctor if your medication might have a role in the result you see on the test. IF you are still not very sure about the results you see on a home test, it will be good to get a blood test. These are the most accurate so ask your doctor, or visit a nurse or clinic. These health care professionals will be able to administer the test and give you the most accurate results and also ask your questions while you are there. Hopefully this piece helped clear a few things up when it comes to pregnancy tests. Good luck with this exciting phase of your life. Pregnancy Test Sensitivity: How It Impacts The Result? What Does Two Lines on a Pregnancy Test Mean? Reading the Lines: What Does a Positive Pregnancy Test Look Like? Trying to Conceive: How Soon Can I Take a Pregnancy Test? False Alarm: What Can Cause a False Positive Pregnancy Test Result? Some recommended products may use affiliate links. CouldIBePregnant.com is a participant in the Amazon Services LLC Associates Program, an affiliate advertising program designed to provide a means for sites to earn advertising fees by advertising and linking to Amazon.com. Amazon and the Amazon logo are trademarks of Amazon.com, Inc or its affiliates.